"Fore clear, Receive of back" can be easily flew by "Vibe Slayer Car" which is compatible with gentle shot feeling and repulsion power. It is a racket for women who is coming out of Duora, and when I tried it was a feeling for the ladies! Those who have troubles such as having trouble with backhand or receiving, clearing will not fly will think that the flight will change dramatically! I am transitioning from Arc 2 to two of Duo 10 LT and Duo 6. Gotto Ark 2 "Strong titanium" 19 pounds → Go to "20 gbs" of "BG66 ULTIMAX". Going from volleyball to high school in the bud, finally intermediate? Although it is me, I understand the difference between the goodness of shuttle flight (back to gain) and clear. Better feeling and hitting sounds better this way, I wonder if I can aim for a winning match. I bought it online, but it was reasonable and good. It is suitable for ladies, but because I am a person who does not have power, it is gentle that it is light and has strong opposition. Design is also good, so you can have fun using it. I think that we can not release it for the time being. I think this badminton racket is a popular recommendation for women's intermediate people. 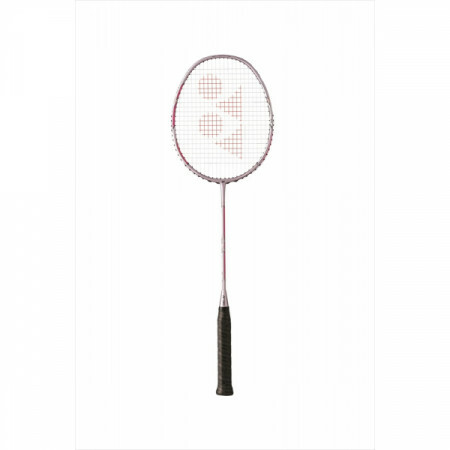 It is a recommended badminton racket that doubles the power on women as well as easy to handle, with a balanced all round model that employs high elasticity carbon that exerts power in defense. Borrowing what my sister used was the reason for use. Because it is a female model design is still for ladies, but men are also easy to use rackets. Especially for elementary and junior high school students, it is recommended for children who do not have firm grip strength. Although feeling shot feeling is soft, since it repels well, it is no longer forcefully put in force. I use a racket called Duora 6 of Yonex. The repulsive force is attractive in this racket anyhow. Even if you hit it lightly it will fly with great momentum. The weight is also quite light, so it is a very good racket for myself without power. If you do not have confidence in power, let's definitely borrow the power of a good racket! I've recently updated racquets, but I'm pretty good, I can not swing, I can fly the shuttle. Although it is not perfectly familiar yet, yet this performance, I think whether I can better demonstrate the racket's better points as I am familiar.